Decay: 5. (When there are five cards on this event, destroy it.) To play this event, you must command three personnel. Plays in your core. 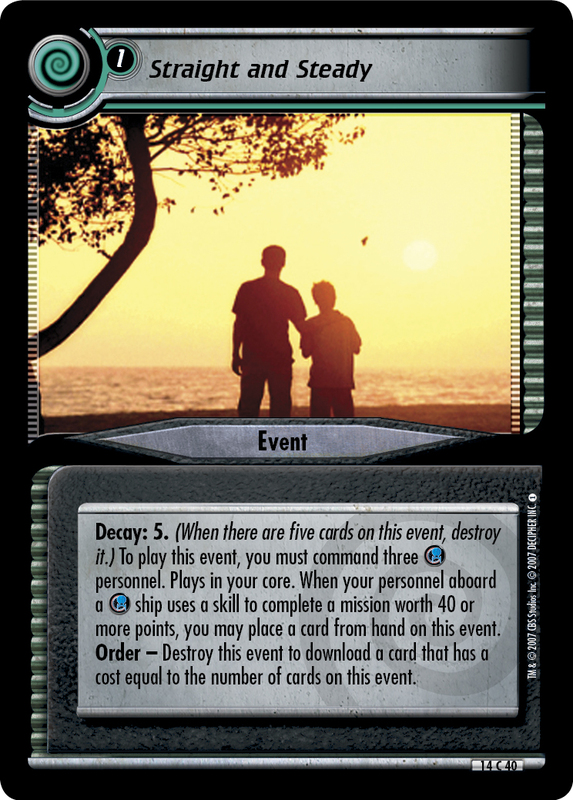 When your personnel aboard a ship uses a skill to complete a mission worth 40 or more points, you may place a card from hand on this event. Order - Destroy this event to download a card that has a cost equal to the number of cards on this event. 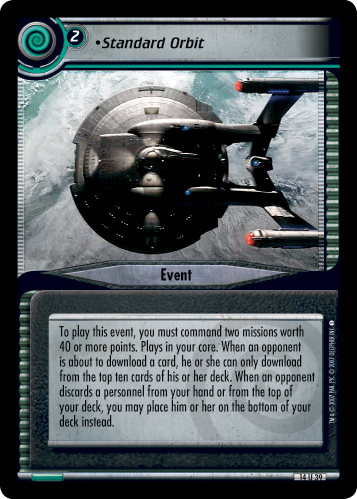 Errata'd on 2015-04-06: This card has been used constantly in non-Starfleet decks to download 0 cost events. 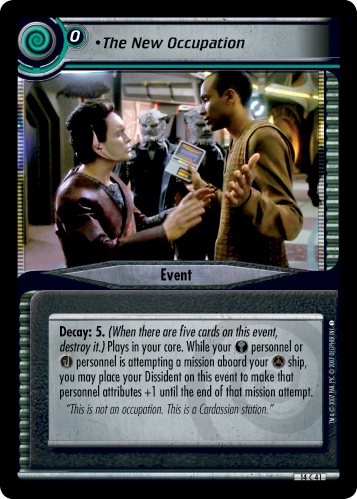 A requirement for three Starfleet personnel has now been added to play the card.